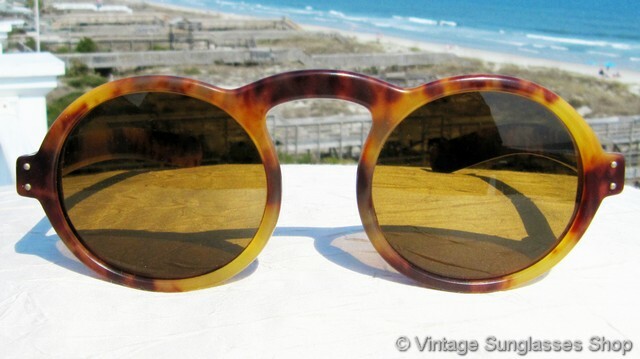 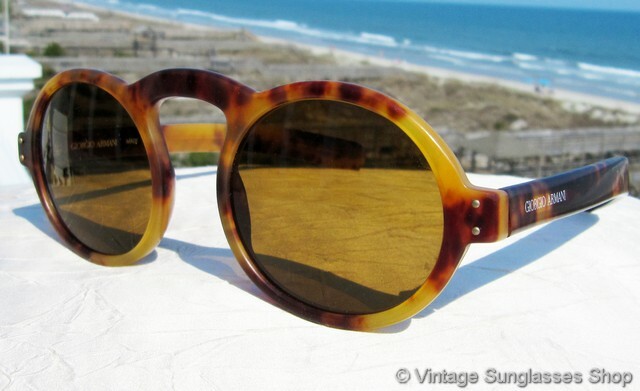 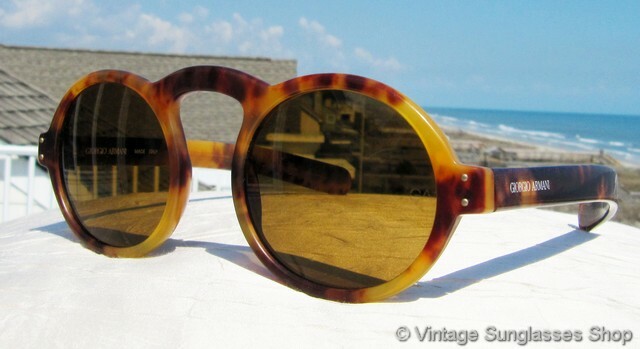 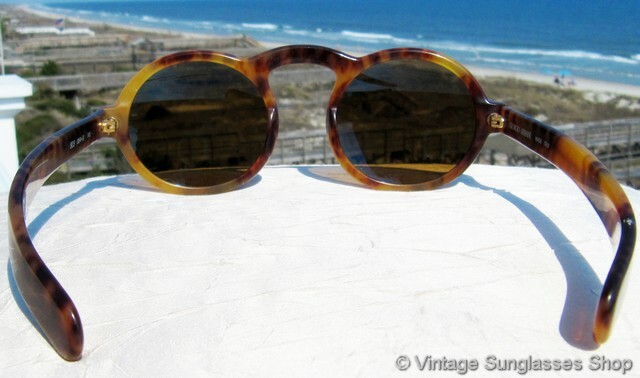 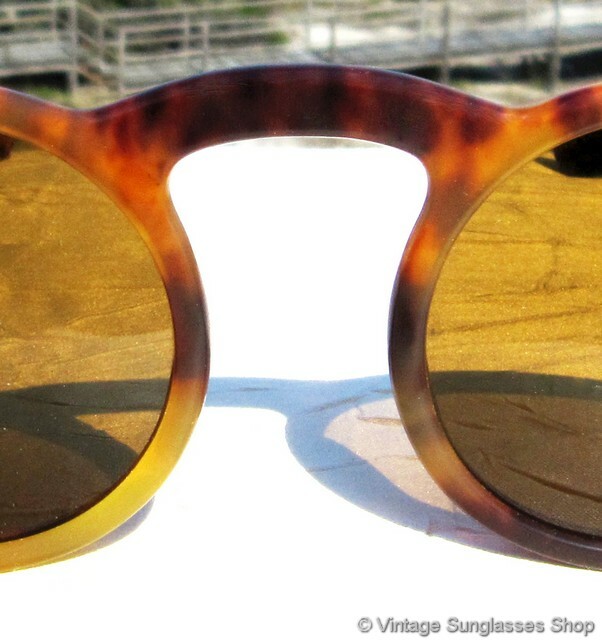 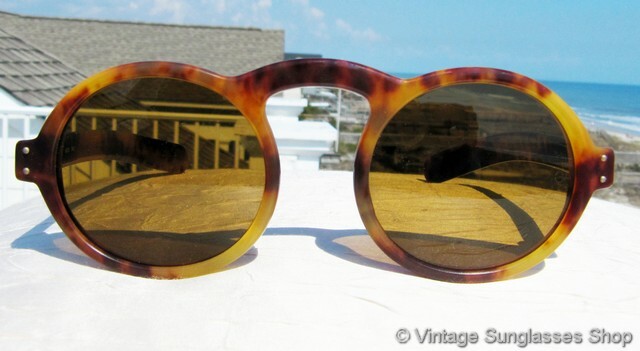 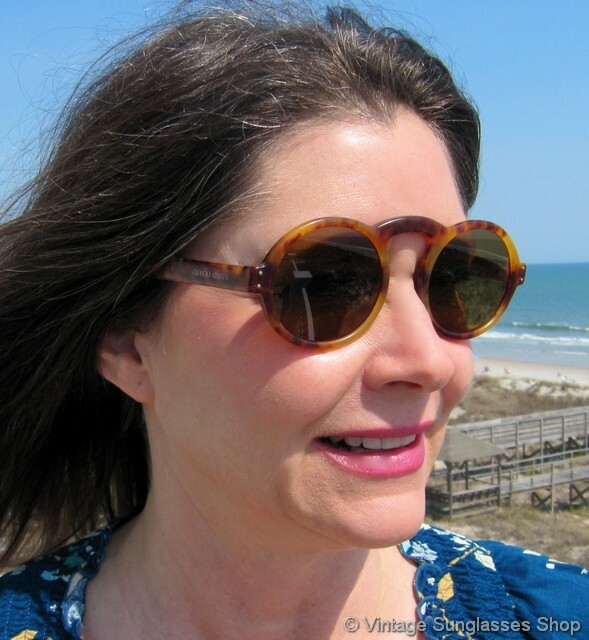 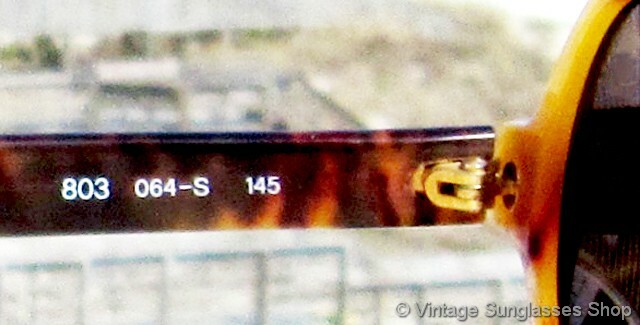 Vintage Giorgio Armani 803 064 sunglasses are a style and shape you'll only find in the sunglasses portfolio of Giorgio Armani, with a wonderful yellow tortoise shell frame, large round mineral glass lenses, and steeply arched nose bridge. 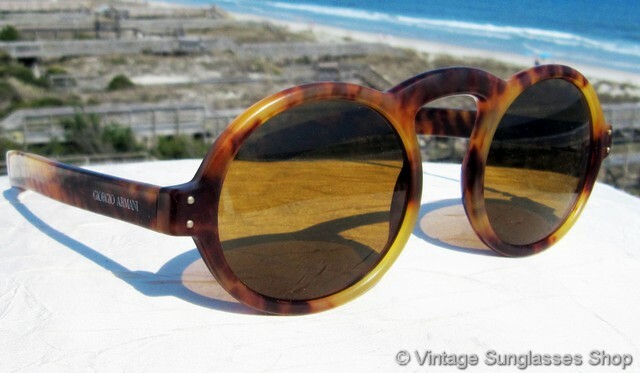 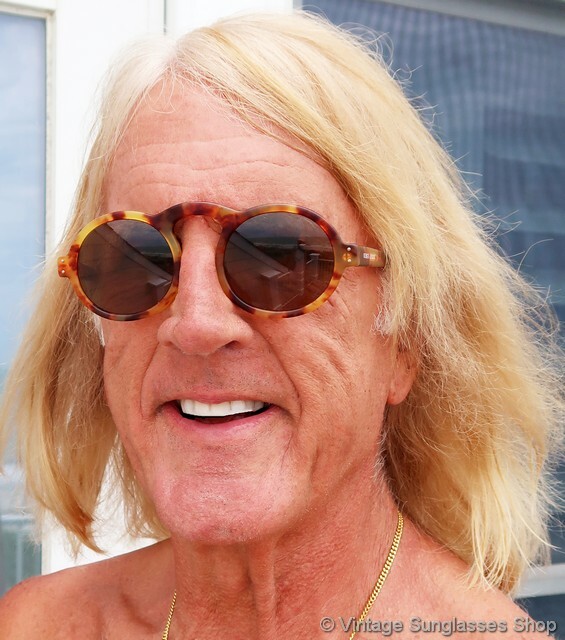 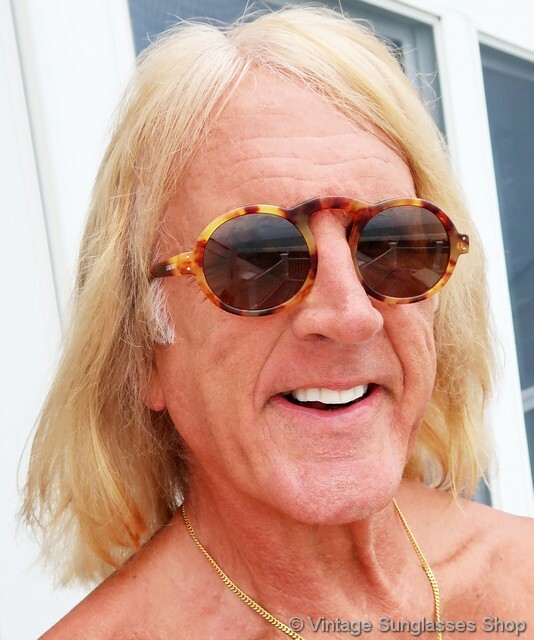 You won't have to worry about anyone else at your formal or casual occasion wearing the same pair of sunglasses, for Armani 803 sunglasses were only made for about 2 years c mid 1980s. 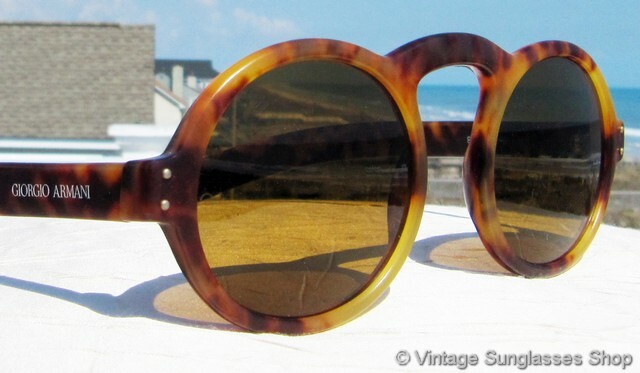 The yellow tortoise frame has the translucence we've come to expect in vintage Armani frames, and the brown mineral glass lenses give you great optical quality to go along with great style. 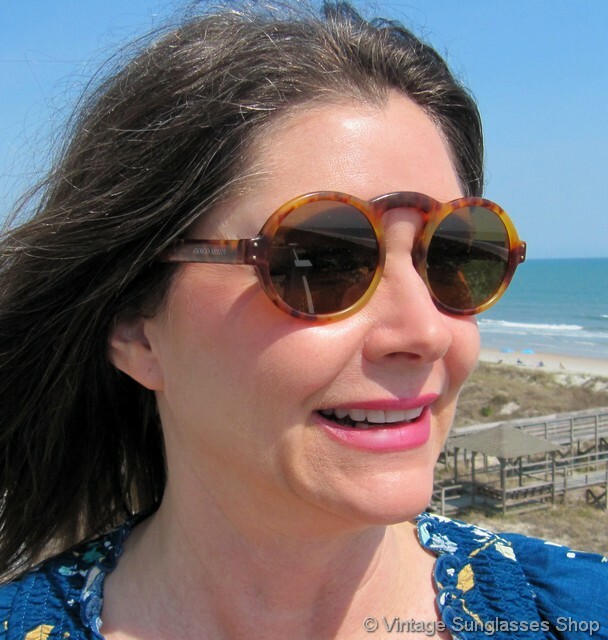 The unisex Giorgio Armani 803 frame measures approximately 5.375" temple to temple, and the lenses measure approximately 1.75" x 1.675" at the widest points with both lenses laser etched GA near the hinges. 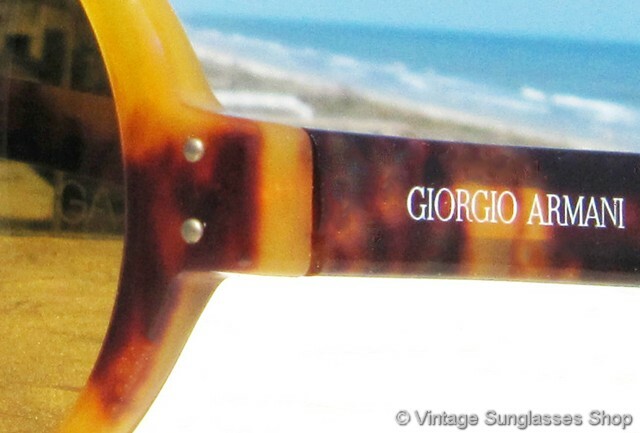 You'll find the Giorgio Armani logo embossed on the exterior of both ear stems, and the inside of one stem is marked Giorgio Armani Made Italy while the inside of the other stem is marked 803 064-S 145. 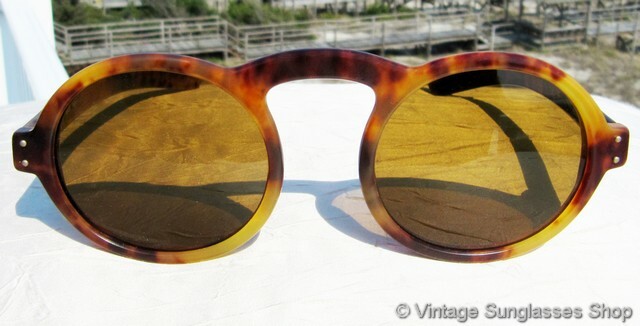 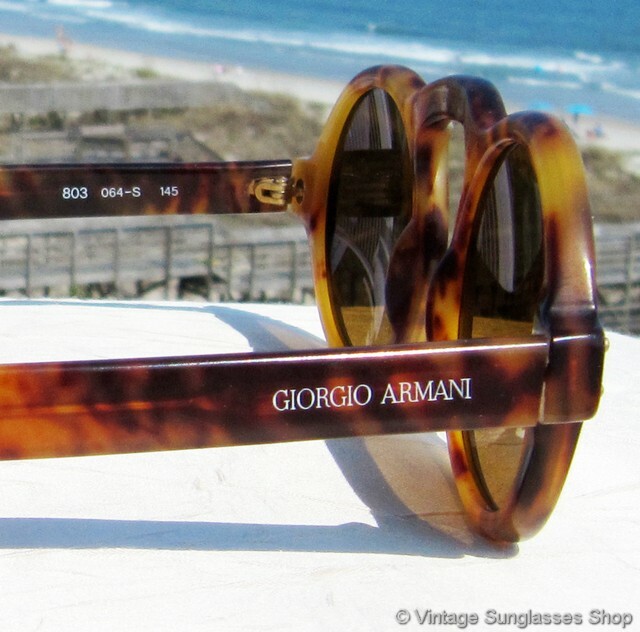 These are new old stock Giorgio Armani 803 064 sunglasses in mint, unworn condition.